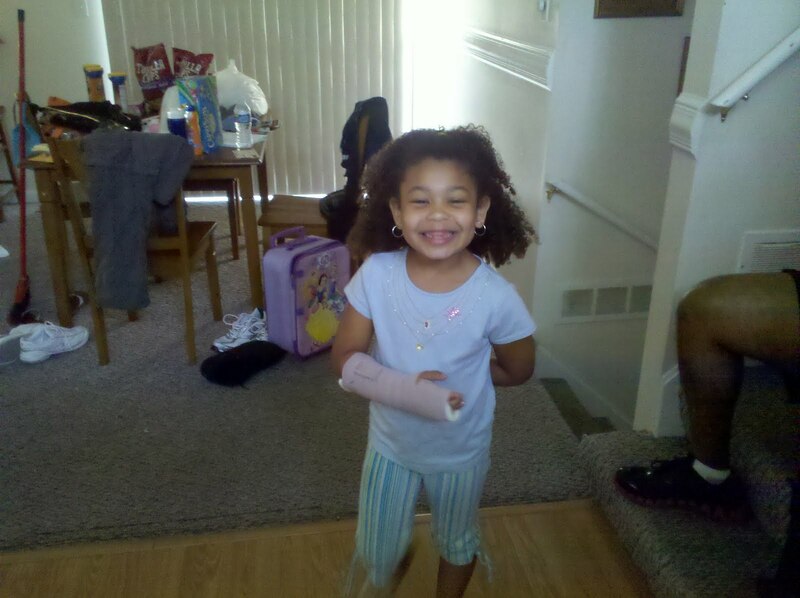 Speaking of my Super Princesses…Ayanna fractured her wrist yesterday at the after care at school. God Bless Her Heart and Her Courage. 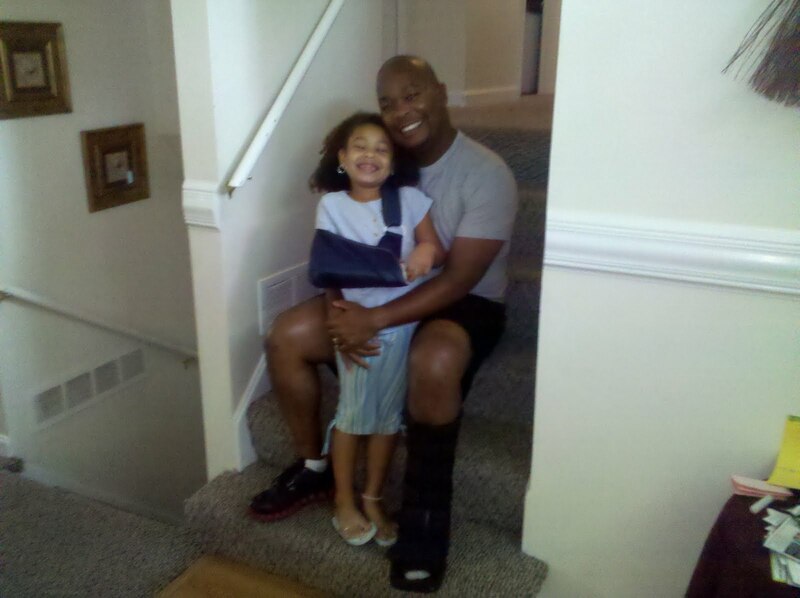 I got there just a few minutes after it happened and she was crying. She then explained to me how she did it: I take the girls to the park and playground all of the time, and Ayanna has always been afraid of the Monkey Bars. Specifically, once she is hanging, she starts to freak out. Well, my daughter, my first born, decided she was going to get over her fear and tried the monkey bars at school!! 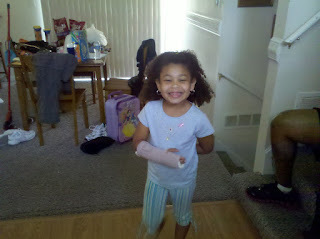 I was mixed with a feeling of overwhelming parenting pride in her, and overwhelming parenting concern over her holding her wrist. Once my wife got home, I stayed with our youngest and she took Ayanna to the ICC.